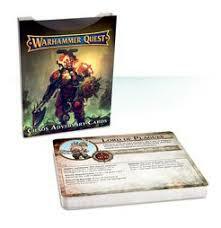 The re-launch of Warhammer Quest via Silver Tower came in May 2016 and it took until January 2017 for me to fully paint my game up, just in time for a new announcement of a 2nd Warhammer Quest game called ‘Shadows Over Hammerhal’, released in February 2017. This new version is both complimentary and separate to Silver Tower in that it is a stand alone box set, but equally you can use components of both sets, heroes and enemies to cross over. Hammerhal has more of an underground dungeon look beneath a city, and features 4 new heroes and lots more chaos enemies including Nurgle and Khorne, along with a good number of Tzeentch acolytes again. Painting my Hammerhal box set began in quarter one 2017 by building and painting the characters, and with a surge of initial enthusiasm these were all completed by the same summer. My first hero was the Cogsmith, and whilst i prefer the Fireslayer dwarf from Silver Tower, this one has a combination of copper and silver metallic with armour, gadgets and weapons. I am adding flock to the hero bases as I did for Silver Tower heroes to make them stand out a little more from the enemies. The Elf Loremaster is a great model, who i decided to paint in a green and brown wood elf theme style, as these have always been my favourite elven faction. I am really pleased with how he turned out. One of my better models for this set. The Black Art Fleetmaster is another fantastic model, and also one of my all time favourites painted up. His cloak detail is amazing, I went for a predominantly purple colouring with some gold effect to the cloak scales. Lord Castellant took longer to paint up with all the little details. This time i went with the golden armour approach that i avoided when i painted the Silver Tower hero. Lord Castellant comes with a gryph-hound, which turned out very nicely in the end, i put some extra detail into the fur painting this time. The Chaos Lord, wearing a purple robe offset by gold armour, and probably not one of the better models really. It looks better on the table than in this image too. The enemies followed with the excellent Putrid Blightkings, which are the best enemies in the set. You have a lot of build alternatives with these models, so I decided to make them into mini characters to add a little extra interest for the dungeon master. This group has 7 vigour minimum and presents a tough challenge when compared to most Silver Tower enemies. ‘Fang’ is the Blightlord, generally thought of as the leader and i gave him the most deformed theme. He is the only one in my unit without a helm which gives him some distinction. The Blightlord gets to roll one extra dice when he attacks so he will pack an extra punch, and dual weapons seemed the best fit. ‘Spike’ is my armoured blighking, and I went with a heavy green style to fit with Slambo, and gave him a spikey horn helm. This is probably my favourite model of the set, and he gains an extra vigour life point for having a shield. ‘Bellringer’ is an interesting character, with options to carry either a giant tocsin bell or an axe, I went with the latter for a dungeon where a weapon seems far more useful, and gave him a flail of bells instead so he can still make a noise. Carrying a tocsin bell adds plus one movement to all Blightkings, and I will use Bellringer to bring this rule into play. ‘Moose’ I originally built as an icon bearer, which when present heals Blightkings one wound each round, but I felt it carrying around a huge war staff in a dungeon was a little off and a little static in his pose. I changed him into another shield bearer for the extra vigour point, and plan to add the icon to the dungeon as a room item you need to destroy. ‘Tank’ is the final Blightking character who has an unstoppable look to him, crashing through the dungeon towards the heroes. Having two weapons will allow him an extra dice to attack. I am pretty happy with the blightking results, I do find skin harder to paint than anything else so this was a challenge, and in hindsight i should possibly have gone for putrid green based skin tones. Next were the bloodreavers which i completed by the first half of 2018, and mostly with standard builds, but i added a couple of blightking conversion crossovers for some extra dungeon interest if i need it. A gradual realisation that this box is all skintones has made me wince, as again these were quite hard to paint well, and i lost a bit of enthusiasm for these towards the end. Finally it has taken me until early 2019 to complete the acolytes, as i was mainly using the models from the Silver Tower set. However a recent decision to buy into the next installment of the Quest series with Blackstone Fortress has forced my instinct to kick in and finish this set, and so with 7 now done i have just 3 remaining. These acolytes are more interesting to paint than the bloodreavers, but all the metal edging and little detail makes them time consuming. My efforts here are much better than the bloodreavers and skin painting is improving. These acolytes have better poses than in the Silver Tower set, with more interesting alternatives such as the scroll and bird carriers. The great thing about Warhammer Quest is the ability to expand and Games Workshop has helped with some additional rules in White Dwarf. I decided to build a couple of the new items into my Hammerhal box set. Games Workshop released an old favourite Chaos Warrior model in a new upgraded format, called Slambo and produced some Warhammer Quest hero rules for him in the White Dwarf march edition. Such was the draw of getting my own new chaos warrior that I remember from my Heroquest days, that I picked him up and painted him as a hero and an end boss enemy in Hammerhal. The release of the chaos adversary pack has broadened the scope of Warhammer Quest and with three new quests released in White Dwarf in early 2018, it included both a skaven and chaos warrior themed dungeons. I was therefore distracted for a while with new Skaven enemies to populate Hammerhal. The Shadespire warband was perfect to add some character into the dungeon, both as a warlord and his henchmen, or to use as stormvermin. Whilst i had plans to further expand the set, the release of Blackstone Fortress will prove to be a diversion as i embark on the third stage of the quest trilogy, and a new painting journey commences.